The Syringa, or Lewis mock orange, is aptly named. The bright white flowers of the Syringa are a cheerful presence in this bountiful state. The state legislature named the Syringa as the state flower in 1890, just months after the country joined the union, but it was not made official as the recognized state flower until 1931. However, even though not official, the beautiful white flowers of the Syringa have graced the national seal designed in the 1890s and represented the state of Idaho at the World’s Exposition in Chicago in 1893. The state flower of Idaho grows on a large shrub. The fountain-like branches of the Syringa drape beautifully back down to the ground as they grow eventually reaching ten feet tall and ten feet across. The plant is often found in ornamental flower beds and shrubbery. The brilliant white flowers grow in the late spring or early summer and are bountiful and fragrant. The blossoms appear much like orange blossoms with bright white petals and a bright yellow center clustered around the shrub. The large shrub is beautiful year round with its arching branches and interesting shapes. However, it is the beautiful flowers that appear that make the Syringa such a part of the Idaho tradition and history. 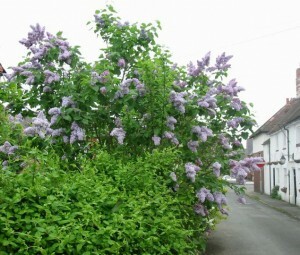 The Syringa has branches of flowers with five to eleven individual blossoms on each. The blossoms are cup shaped and delicate, a beautiful symbol for a state with such dramatic seasons and lovely natural traditions. To grow Syringa, you’ll want to plant the shrub in loamy soil, or even soil with a bit of clay. The shrub will need full or partial sun, especially during the colder months. The Syringa is a hearty plant to grow in a garden that is resistant to drought and cold. 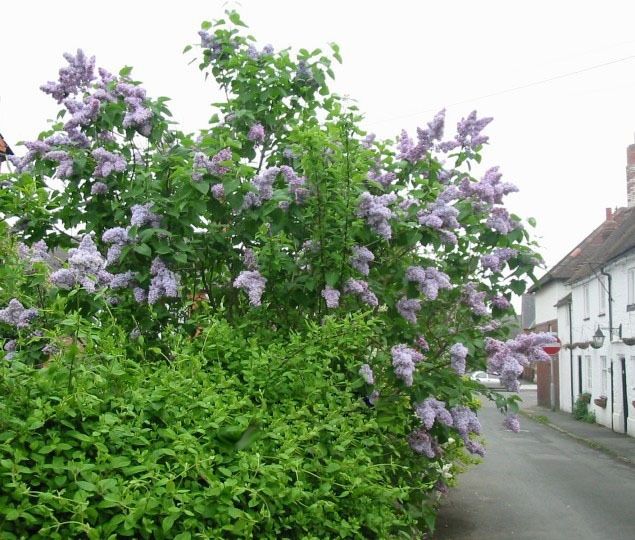 The Syringa needs only minimum amounts of water, doing best when the soil is allowed to dry between watering. The Syringa will need pruning once the flowers are done blooming in the early summer to encourage continued growth. This entry was posted on Thursday, March 4th, 2010 at 7:41 pm	and is filed under American Flowers. You can follow any responses to this entry through the RSS 2.0 feed.